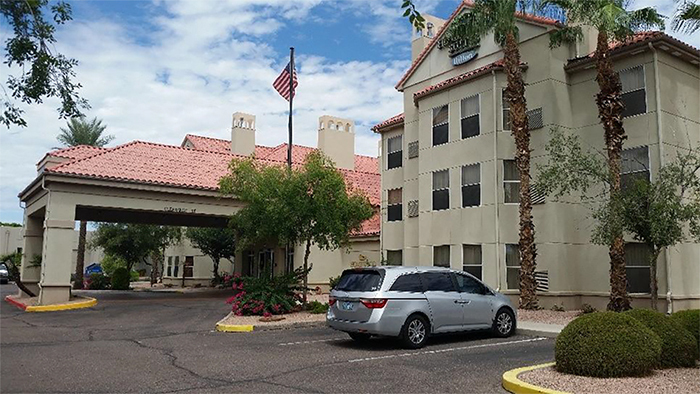 The HVS study found Hilton’s Homewood A photo from the study shows Suites in Chandler to be a primary competitor for hotel traffic in Maricopa. When the City of Maricopa last completed a hotel feasibility study, it was 2014 and Harrah’s Ak-Chin Casino had not announced its hotel expansion. Those requests turned into a new feasibility study, released in March, by HVS Consulting & Valuation. The study specifically looked at the viability of a hotel proposed somewhere along State Route 347. Possible sites include acreage at the Copper Sky complex, property that is owned by the city and intended for hotel and retail establishments. Harrah’s Ak-Chin is adding more than 200 rooms during its casino remodeling. Within Maricopa, there are no other lodging accommodations. Aside from the casino, a new hotel’s main competitors would be in Chandler. “The new report by HVS states the community can sustain a 100-room, extended-stay, upper midscale hotel,” Airheart said. The study also had the caveat that if a hotel were built outside the SR 347 corridor, it could alter the feasibility of the project. HVS used the model of a 70 percent occupancy level and a base-year rate of $103 in making comparisons with current hotels in the surrounding area. “The conclusion of this analysis indicates that an equity investor contributing $3,471,000 (roughly 30 percent of the $11,600,000 development cost) could expect to receive a 20.3 percent internal rate of return over a 10-year holding period,” the report stated. That is considered an above-average return. Major demand generators for a hotel are listed as the Volkswagen proving grounds, Nissan testing center, Apex Motor Club, U.S. Arid Land Agricultural Research Center and Amtrak. Last year, VW alone needed an estimated 12,000 room nights, according to the report, accommodations that had to be made outside Maricopa. Yes, we surely could use a hotel in Maricopa. Ak-Chin is wonderful but very expensive.